Have you been getting it wrong all these years? Find out if you are hanging your toilet paper the right or wrong way. Watch the video now for this life changing information! Today we lay to rest all the toilet talk that involves the right way to hang toilet paper roll. In case you didn’t realize, there really is a proper way and it’s scientifically proven! The position in which we place the toilet paper is apparently relevant, due to bacteria that is a potential infection spreader. There have even been cases involving children and pets that have come in contact and become sick as a result. Whilst it all sounds a bit OTT, we assure you that it’s better to be safe than sorry. So, let’s find out if you’re doing it right. Are you ready to learn the correct way to hang toilet paper? It will be interesting to see if you have been doing it right all these years. 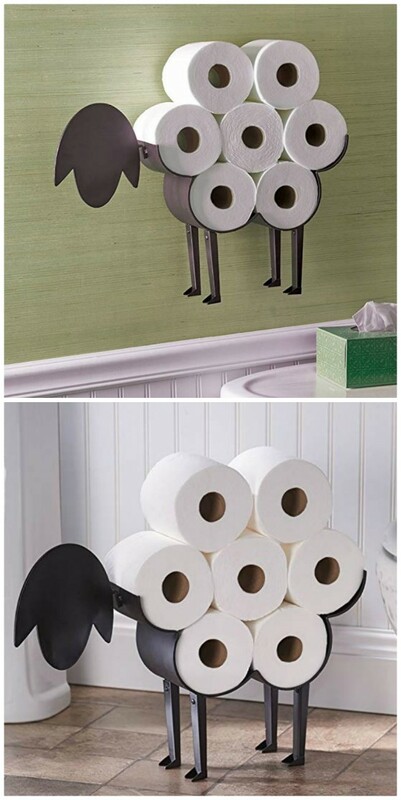 How cute is this fabulous Sheep Toilet Paper Roll Holder that is free standing or can be hung on the wall? We think it would be a novel addition to the littlest, but most used room in the house. You can find them on Amazon.